French presidential candidate Francois Fillon has failed to declare a hefty €50,000 ($52,900) interest-free loan he received from French billionaire in 2013, according to French media. He is now facing fraud accusations. Satirical weekly Le Canard Enchaine on Tuesday reported that Fillon borrowed the funds during his stint as a lawmaker from his billionaire friend Marc Ladreit de Lacharriere in 2013 without declaring it to the High Authority for the Transparency of Public Life (HATVP). The presidential contender, currently placed second in the polls, is now facing accusations of fraud from the transparency authority. Fillon’s lawyer, Antonin Levy, told the news outlet the finds did not need to be declared and had been repaid in full since. “This loan existed, it was paid back, it’s a non-event,” a lawyer for Ladreit de Lacharrière told AFP. The paper said Fillon told investigators that he had forgotten to mention the loan in his declaration. De Lacharriere is the president of the monthly literary and cultural affairs magazine Revue des Deux Mondes. The businessman has already been questioned by financial police over allegations that he paid Fillon's wife Penelope some €5,000 a month between May 2012 and December 2013, when she was said to work for the magazine. The billionaire said Penelope’s work was genuine and deserved the payment it received, despite claims by the magazine’s staff she never worked there at all. The allegations were part of yet another report by Le Canard Enchaine released over a month ago, in which Penelope was accused of taking huge sums of money over several years serving as a parliamentary assistant for work she did not do. When Francois Fillon began working under President Jacques Chirac in 2002, Penelope allegedly joined his cabinet, working as an assistant to Marc Joulaud, the substitute deputy MP of Sarthe (in Fillon’s absence). She was said to earn €6,900-7,900 per month in the role, but yet again, Joulaud’s colleagues claimed to the satirical weekly that she was never seen at work.Penelope Fillon was also reportedly paid “for at least six months” in 2012 when Fillon left his post as prime minister. “In total, Penelope will have earned around €500,000 from parliamentary funds,” the paper claimed. 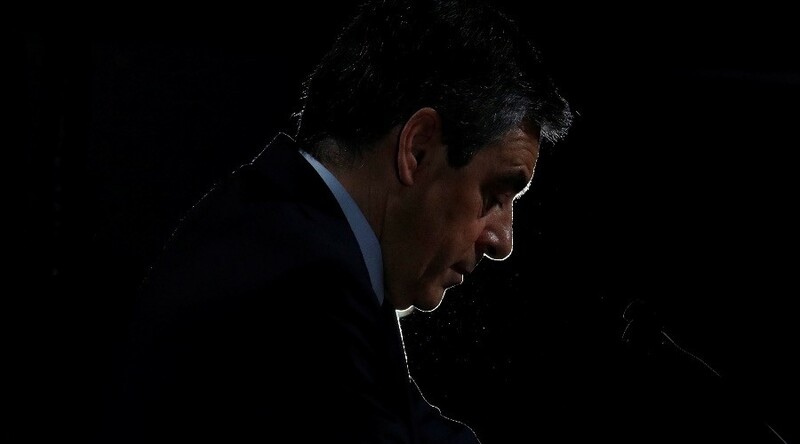 Following the January report, French authorities launched an investigation into the fraud allegations against the presidential-hopeful’s wife, as well as Fillon himself. This was in regards to a consultancy firm called 2F Conseil that Fillon set up in 2012 and which allegedly paid him hundreds of thousands of euro. Fillon has denied all allegations against him, but the scandal prompted talks that he could be forced to leave the presidential race. Last week Christian Estrosi, a senior figure in Fillon’s Les Republicain party, said he should be allowed to make a “dignified exit” from the race. He suggested ex-Prime Minister Alain Juppe as the replacement. 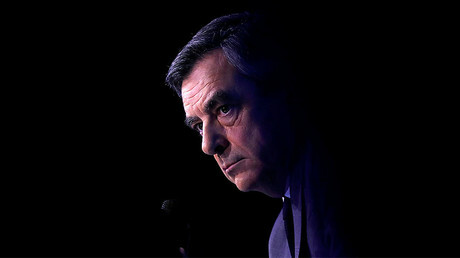 Fillon, however, has so far refused to step down, stating he will continue as candidate. 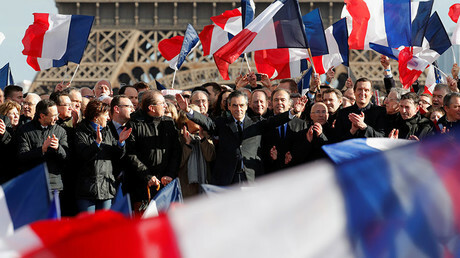 He also delivered a spirited speech to thousands of his supporters in Paris on Sunday, branding those who demand his withdrawal “traitors,” but sounding apologetic over the scandals that have damaged him. Prior to the Le Canard Enchaine’s revelations, Fillon was polling a close second to National Front candidate Marine Le Pen, but has since been overtaken by left-centrist Emmanuel Macron, who is also predicted to beat the nationalist candidate in a run-off.